In the old days, there were limited kids’ watches available and most of them were analog watches with fabric straps. We were exposed to future possibilities from TV shows and movies where actors could speak to other people via their watches. We even had the incredible calculator watch which seemed to be an amazing advancement in human history! However, these futuristic watches are just run of the mill watches for today’s standards. In today’s time, kids have a wide range of collections available with numerous options and features. The kids’ watches that are available on the market these days go beyond than just telling time or doing calculations. Whether it is a standard or smart variant of the watch, kids can now play games, set alarms, and do a lot more from this device on their wrist than ever before. Therefore, it is safe to say that kids have it good these days. 2. Is it important for your kid to have a watch? 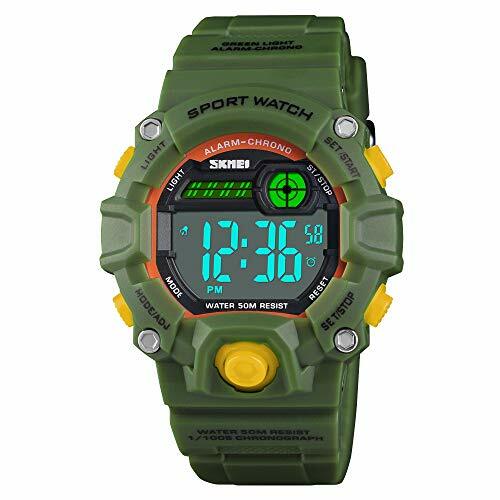 This is one of the best kids watches available that is multifunctional and shows dual time to assist children better in time learning and management. Further, it has a stopwatch, alarm clock, day, date, and EL backlight. 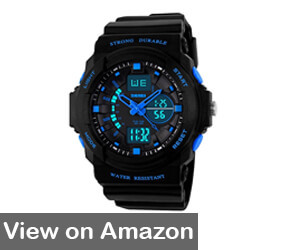 This multifunctional sport watch is water resistant for up to 50 meters. It is easy to use and has large numbers on the dial to ensure easy readability. The watch also has an EL backlight which makes it convenient for children to read the time in the dark. 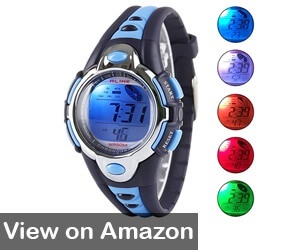 When we talk about smart watches for kids, the AXSPT Kid Watch comes in seven backlight colors. Yes, you get to choose from red, sky blue, green, orange, dark blue, and more. 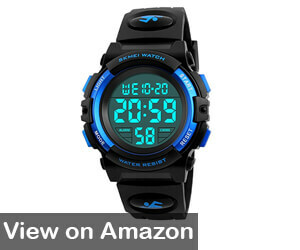 The multifunctional sport watch is shock resistant and 50M waterproof. Furthermore, it features an alarm clock, stopwatch, timer, date and week display, luminous pointer, and backlighting. Parents love this watch for their children because it has a small band. This is one of the coolest watches for kids as it features a highly transparent resin glass for quality readability and an ABS plastic case. The Viliysun Kid Sport Watch is 50M waterproof. 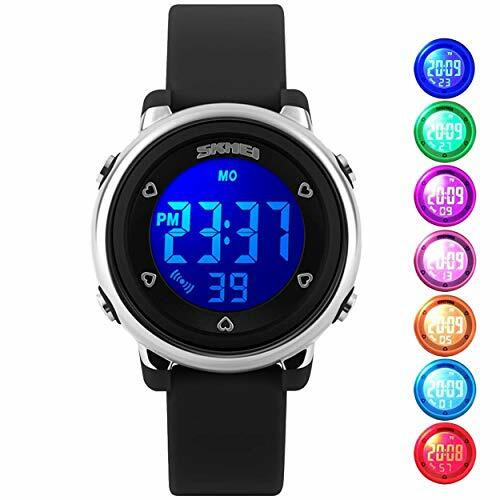 Other functions include alarm clock, stopwatch, LED night light, anti-vibration, anti-magnetic, and a date & time calendar. The only downside of this amazing watch is that using it too much in extreme cold and hot conditions may shorten the overall lifespan. 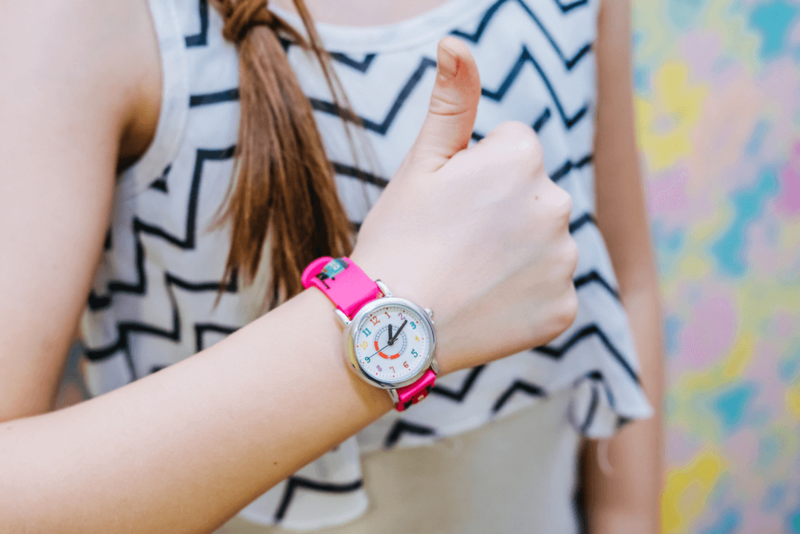 Parents are often looking for cool yet comfortable swatch watches for kids. 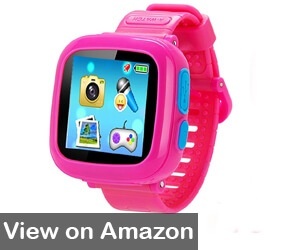 This high-tech smart watch is an ideal choice for those kids who desire an innovative electronic learning toy. The YNCTE Game Smart Watch features an alarm clock and built in learning games. The watch also supports multiple languages and has a standby time of a minimum of five days. Designed especially for children, it comes with a cute panda that will play with your child whenever they want. 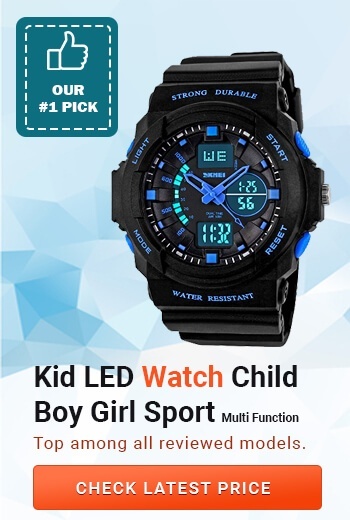 Viliysun Kid Watch offers great value for children who love multi-functional sport watches. It is designed to improve the learning and management skills of your child. 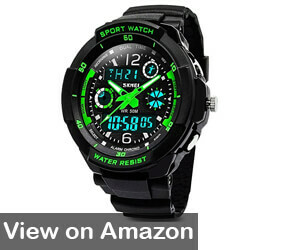 The watch features dual time capabilities and is water resistant for up to 50 meters. The large dial increases the readability aspect parents look for in a kid’s watch. Viliysun Kid Watch also has an alarm clock, EL backlight, and stopwatch among other functions. Majority of the kids watches do not have a feature through which the parents can track their child. This is an excellent feature to ensure safety and security of your little one. Thus, if you are looking for the best GPS watch for kids, Viliysun has a viable option for you! 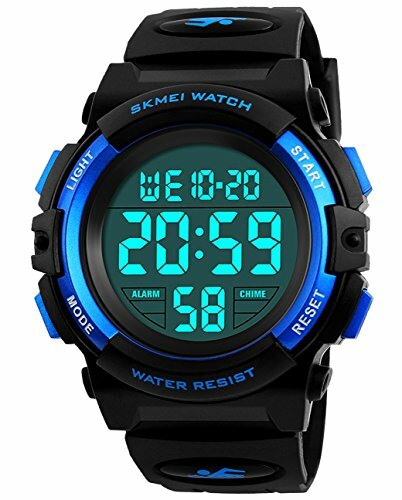 Apart from this, the watch includes numerous functions including alarm clock, stopwatch, night light for darker environment, anti-magnetic, anti-vibration, and date and week calendar. 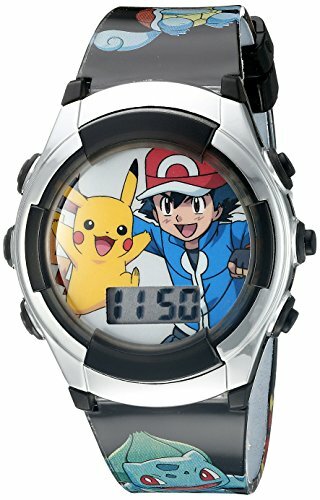 This watch is best known for running and keeping the most precise time offering both analog and digital display to kids. Parents love this product because it is super easy to set it up and use – children can do it on their own from the beginning. 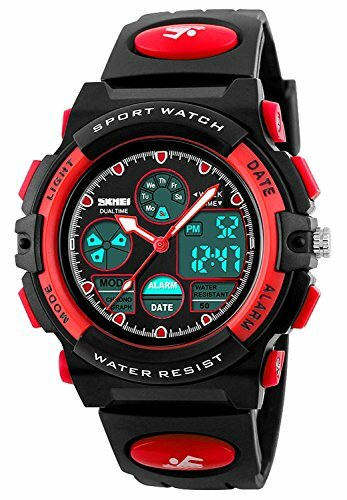 Being a multifunctional watch, it further offers dual time display, multiple time-formats (12 and 24 hours), EL back light, stopwatch, and alarm clock.In addition to this, the KIDPER watch is shock and water resistant allowing children to swim and bathe while keeping it on their wrists. It all depends on the style and preference of your child, but the most popular watches for kids include fashionable watches, sport watches, and time learning watches. All of these are available in both analog and digital formats. Typically, sport watches come in digital format while fashion and other watches are available in both formats. Analog watches make use of the traditional clock face which has seconds, minutes, and hour hands whereas the digital watches have a backlight LCD screen that displays time. This is the most common difference between the two formats. Apart from this, both types of watches require the individual to set the time at the time of need i.e. after purchasing, during user setup, after replacing the battery. Children who own a watch in their early stages of life tend to blossom into being responsible, independent, and self-sufficient adults. There are numerous things that a child can learn just by owning and using a watch on a daily basis. This includes punctuality, time management skills and following a daily routine. One of the most important aspects to evaluate a watch is its usability. When we talk about usability, we are actually seeing how easy it is to learn or use a particular device. No matter if you are buying a smartphone, smart watch, or a standard watch, usability plays a vital role. These watches contribute in the development of various skills such as critical thinking, problem solving, and motor skills. Owning a watch can help children develop these skills easily and quickly. This is because they will have to learn how to wear the watch, set the time, set the alarm, read the time, and more. Further, if the watch comes with extra features, it is more critical to develop these set of skills. Hence, usability suggests if the kid would be able to learn how to use and wear it as it is supposed to be. 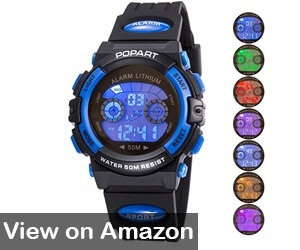 Another important aspect to consider when buying a kid’s watch is readability. A majority of children are able to develop reading skills at the required age group. However, if the watch has poor readability, it may lead to poor understanding. It does not matter which type of watch you are considering purchasing (analogue or digital), it is important that the numbers on the watch along with other text offer quality readability. Even the labeled watch hands should be prominent for the kid to have a great experience in owning and using the watch. It goes without saying that children are a hyperactive bunch. Wherever they are, whether at home or school, they want to play and have fun. This is a great thing because it helps them with their development. Having a watch during playtime further allows them to keep track of time! It is important that the watch you buy for your children are highly durable to endure possible damage, wear and tear or pressure as they are roughhousing almost all the time. A good chunk of children’s watches collections are water resistant or waterproof. This is a great feature because most children will forget to take take precautionary measures before playing in rain or going in water. Durability and endurance can save you from unnecessary damages due to which you have to either repair or purchase a new watch altogether. The first watch that I purchased for my son was pretty durable and functioned for five long years, before it required a battery change. Hence, making the right choice can help you have a watch that offers longer battery life and a strong mechanical device that does not snap or break easily.